This week we not only have a new DAY ONE release for you with AWAY: Journey to the Unexpected but also four other games launch today. Have fun with our latest additions! 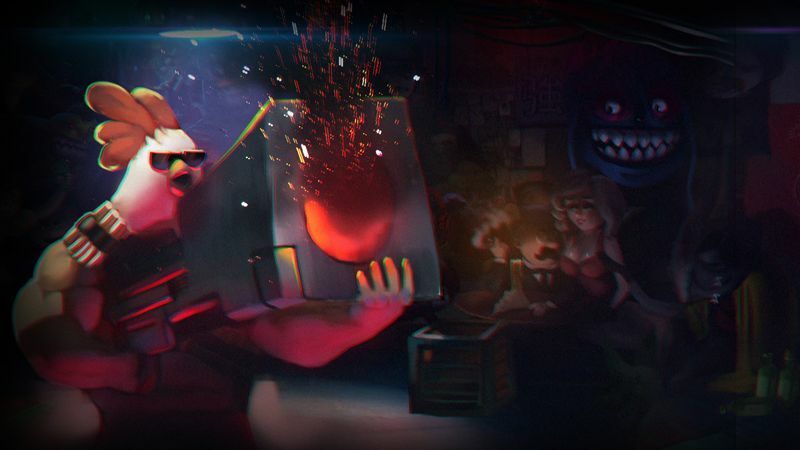 Fight your way as Mean McAllister, the baddest chicken in town, in Chicken Assassin: Reloaded, a fast-paced action-RPG with an outrageous story-line filled with over-the-top humor. QP Shooting - Dangerous!! is a bullet-hell-type shoot ’em up starring the pudding-loving dog girl QP, you may have seen before in 100% Orange Juice. Enter a land of magic in Risen Dragons. Call on the help of dragons and save the world from the Gatherers in this casual tower-defense game! In Alicia Griffith - Lakeside Murder, you’re a detective who investigates a shocking ritual murder. The hidden-object game takes you to Mayan temples, deep forests, and other challenging locations! Feel free to share which ones you’re interested in on our Twitter or Facebook. We’re always happy to hear which games you enjoy best. You can start playing them right away!